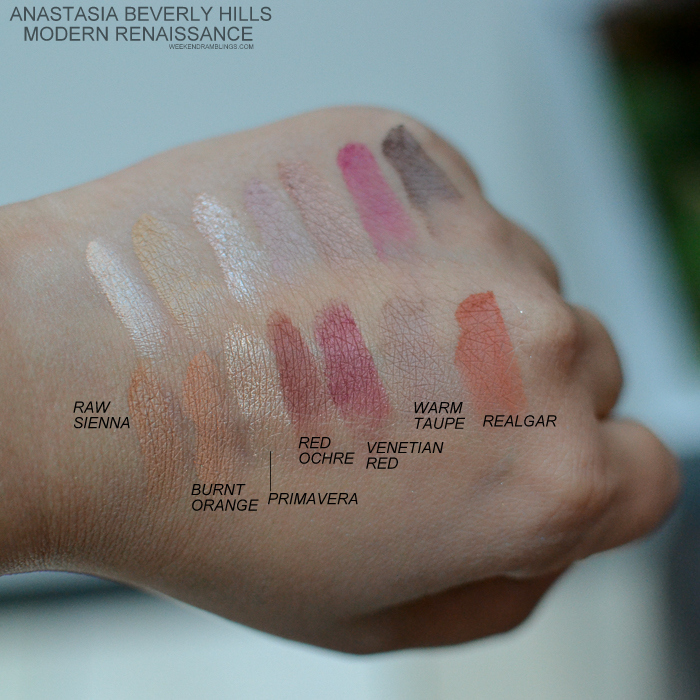 Anastasia Beverly Hills eyeshadow palettes have always been among some of my favorites, both in terms of quality of the eyeshadows as well as the well-coordinated colors included in these palettes. 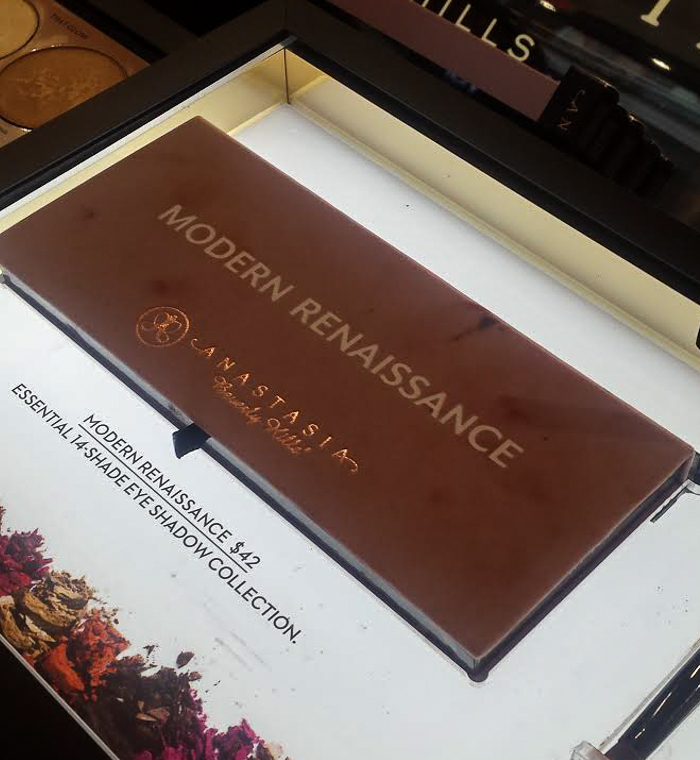 The new Modern Renaissance eyeshadow palette is another winner from the brand. The 14-shade eyeshadow palette features a mix of neutral colors with warm browns and even a bright crimson shade. The eyeshadows are soft, smooth, oh-so-pigmented and can be mixed and matched for a range of looks from daytime to neutrals to sophisticated, dark smokey eyes for the night. The palette has a generous-sized mirror on one side and includes a double-sided brush in the packaging, making this perfect for travel or just having in the bag. Scroll on for more photos and swatches. 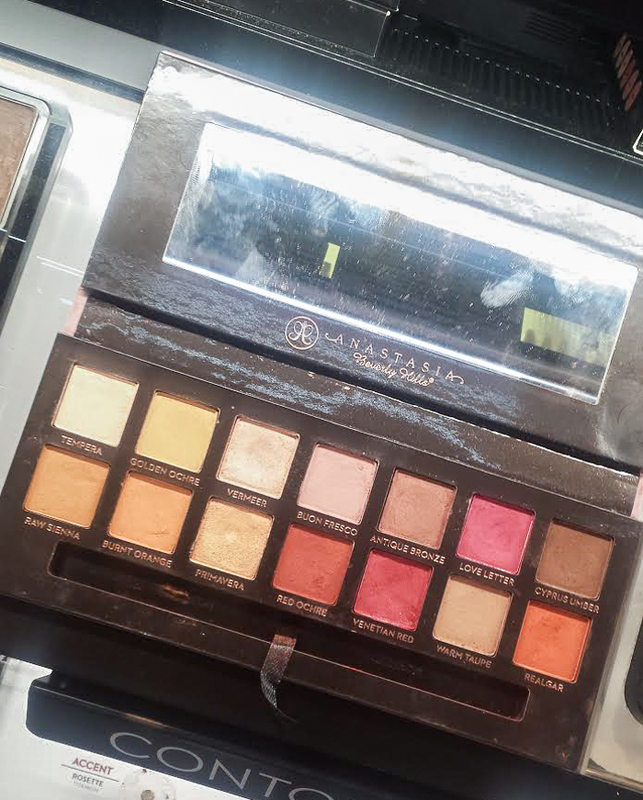 I love neutrals colors and matte shadows, so a palette that combines these two as beautifully as the Anastasia Beverly Hills Modern Renaissance palette is a big YES! 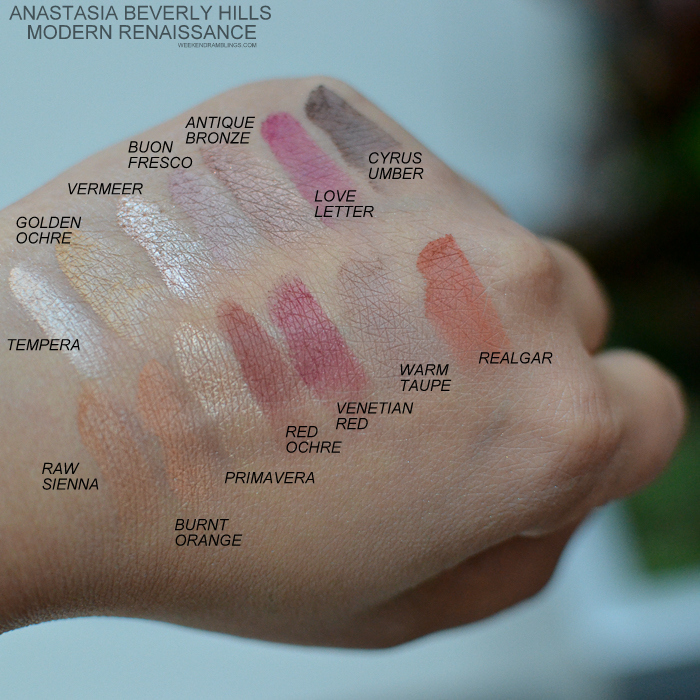 The shadows are all quite pigmented and smooth. I can go on and on about all the warm browns in the palette, and I love Red Ochre and Venetian Red - the two darker shades in the palette. There are quite a few matte shadows in the palette, and the shimmer is more of a soft metallic sheen which makes it quite easy to incorporate into daytime makeup looks (for me). It's very rarely that I find palettes where I can use every single eyeshadow in the palette, but I would reach for the colors in this palette all year long. If you love neutral eyeshadows, like warm browns. 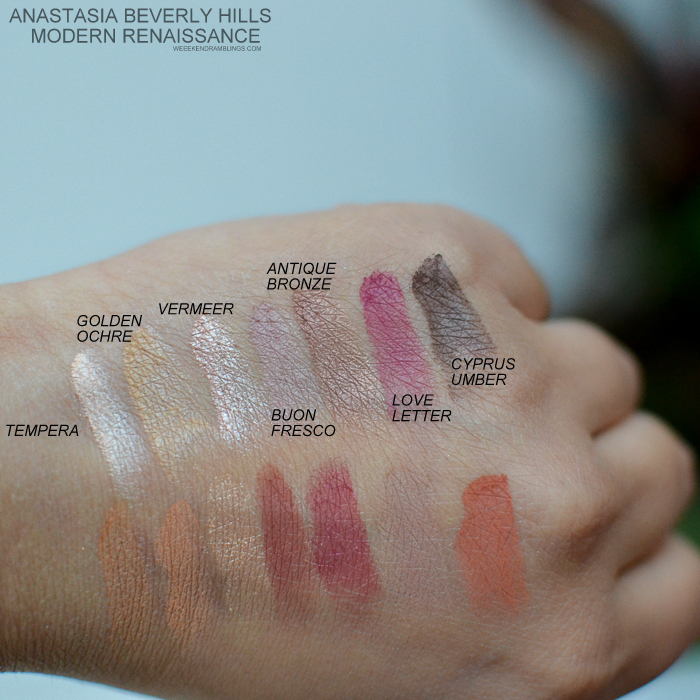 opt for a lot of matte shadows, or just cannot pass up a good eyeshadow palette, do give the Anastasia Beverly Hills Modern Renaissance Eyeshadow Palette a try.